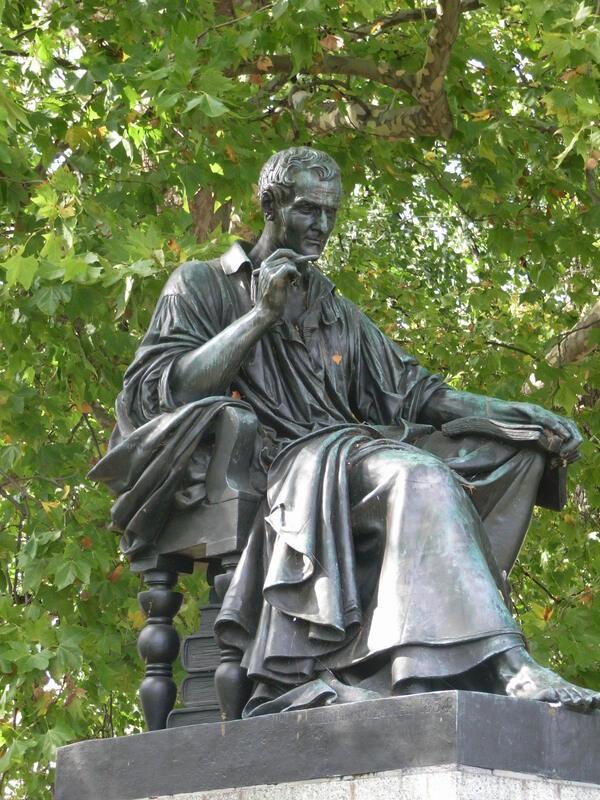 A more general collection of Jefferson quotes on changing a constitution can be found here. This Constitution,Office of the Bicentennial of the United States Constitution, 1987. Syracuse L. Rev. 19 (1967), pages 214, 221. Address before the National Municipal League, Nashville, TN, November 14, 1947. “The English Parliament of 1688 did a certain thing, which, for themselves and their constituents, they had a right to do, and which it appeared right should be done. But, in addition to this right, which they possessed by delegation, they set up another right by assumption, that of binding and controlling posterity to the end of time. The case, therefore, divides itself into two parts; the right which they possessed by delegation, and the right which they set up by assumption. The first is admitted; but with respect to the second, I reply: There never did, there never will, and there never can, exist a Parliament, or any description of men, or any generation of men, in any country, possessed of the right or the power of binding and controlling posterity to the “end of time,” or of commanding for ever how the world shall be governed, or who shall govern it; and therefore all such clauses, acts or declarations by which the makers of them attempt to do what they have neither the right nor the power to do, nor the power to execute, are in themselves null and void. Every age and generation must be as free to act for itself in all cases as the age and generations which preceded it. The vanity and presumption of governing beyond the grave is the most ridiculous and insolent of all tyrannies. Man has no property in man; neither has any generation a property in the generations which are to follow. The Parliament or the people of 1688, or of any other period, had no more right to dispose of the people of the present day, or to bind or to control them in any shape whatever, than the parliament or the people of the present day have to dispose of, bind or control those who are to live a hundred or a thousand years hence. Every generation is, and must be, competent to all the purposes which its occasions require. It is the living, and not the dead, that are to be accommodated. When man ceases to be, his power and his wants cease with him; and having no longer any participation in the concerns of this world, he has no longer any authority in directing who shall be its governors, or how its government shall be organised, or how administered…. “It is not enough for the people assembled to have once settled the constitution of the State by giving sanction to a body of laws: it is not enough for it to have established a perpetual Government or to have provided once and for all for the election of magistrates…. [T]here must be fixed and periodic assemblies which nothing can abolish or prorogue…. [T]he Prince derives a great advantage in preserving its power in spite of the people, without its being possible to say that the Prince has usurped that power: For in appearing to use only its rights, the Prince can very easily expand them and, on the pretext of public calm, prevent assemblies…. [I]t is by this simple means that all governments of the world, once they are invested with the public force, sooner or later usurp the Sovereign authority. 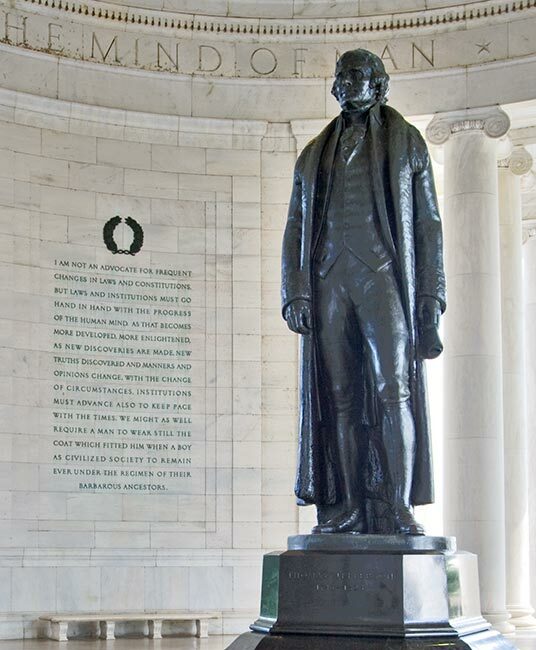 Statue of Thomas Jefferson in the Jefferson Memorial, Washington, DC, adjacent to a quote from Jefferson expressing his often articulated view that constitutions should be living documents. 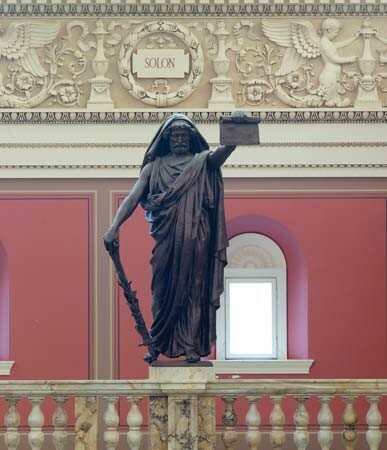 Statue of Solon representing “Law” in the Library of Congress Jefferson Building, Washington, DC. Other statues in the Jefferson Building represent Religion, History, Art, Philosophy, and Science. Solon ruled Athens, Greece in the 6th Century BC and is often credited as the founder of Athenian democracy. The statue of Jean Jacques Rousseau on the Île Rousseau, Geneva, Switzerland. Rousseau explained the importance of periodicity in the convening of legislative and constituent assemblies.